CLEARER, LOUDER, HARDER, BETTER. 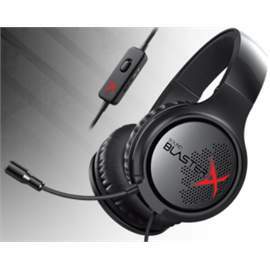 Sound BlasterX H3 is specifically designed for portability and comfort. A portable analog gaming headset that’s lightweight and comfortable. Fold up and take this headset along wherever your gaming habits take you.